What we call government today is in fact an incorporated entity, that means that because they are corporations,  they can no longer represent you an Autonomous living man/woman, due to the fact the council/government has changed Jurisdiction, they have shifted from a realm of laws to a realm of commercial legislation, controlled by the UCC and for the movement of the cargo, coming under Shipping, (UPU) this they call the Legal System. However, they enthusiastically keep up an act in which they work very hard to convince you that they represent you while knowing the contrary to be fact. The government manages your resources without you having any input or the ability to see the paper mechanics of that management process, they have achieved this in the use of charitable status by many outsource providers. There is no transparency for anything classed as an asset belonging to the central banking cartel. When you have completed a study of this page, I would encourage you to take a look at the profile of Barnfield Construction Limited. Through a study of this Credit web, we can see how such corporate entities as Barnfield entrap your Council by guaranteeing its debt. Once the Bank of England was commissioned, war with France was manipulated by the bankers, forcing the new barony to borrow from the Bank of England, a private affair made up from the funds of the old money Templar families, the rest as they say, is fake history to cover the debt. The Bank of England was founded as a private usury bank in 1694 to act as banker to the Government. In essence what took place in England from the introduction of the Tudors by the House Stanley, until the introduction of Usury and a puppet monarch in Charles II, and, the commissioning of the Bank of England, was the undermining of the Christian Canon in England and the installation of the road to the incorporation of the entire nation as a new feudal system makes Serfs of the population from the incorporation of the Crown. Let us also not forget that the next ruling monarch in the corporation that is the United Kingdom, will name himself Charles III, though some claim he will take the name George. See : The Queen of the Chair of Estates and the King of Persons. More importantly, according to Greg Hallet, Prince William is the son of former King Juan Carlos of Spain, who abdicated in 2014 to make way for his son. King Juan Carlos is also the King of Jerusalem which is the Cabalistic Templar secret society front king from which they will present to the earth the anti-life puppet. His son, Felipe VI is now said to be the claimant to the title but we are of course speaking of the secret societies who’s art is deception to divert. Whenever you are confronted with supposed councillors and politicians, and any personnel feigning to be the holder of a political office, it is your duty to establish who everyone is and what jurisdiction is in force. If you fail in this regard then they will determine the jurisdiction for you. 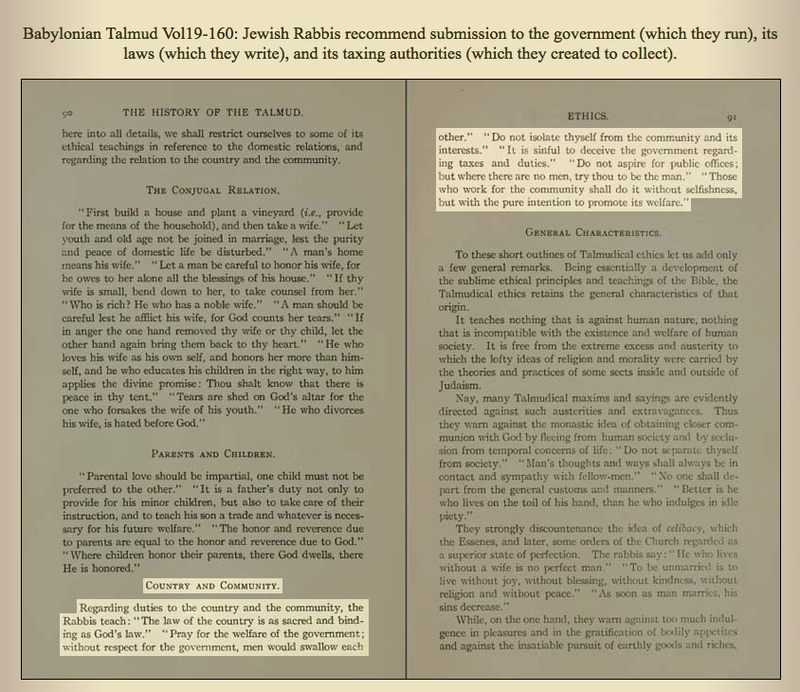 When you fully absorb this information you can take full jurisdiction over these liars and unclean folks because the living flesh is the nation all else is a dead corporation. What is a corporation and how does it differ from a real representative government? When a representational government incorporates it becomes a commercial entity and can only operate in commerce through contract. (Contracts such as with, NATO, the U.N., Europe, and all trade agreements that today we know to be stifling enterprise outside the contracts offered by the network of ever expanding banking owned corporations. They are the outsource providers running your domestic system very badly, while the costs of the contracts rise month on month, that absolutely is a position that needs to change. Commerce conducts business through contract. It rules the world of paper. Governments as corporation become strict commercial entities, as such they act according to what is efficient and not according to anything resembling rights, what was the government becomes a Fiduciary with obligations to its share-stockholders, it no longer represents the public. The Public become the Debtor when in point of fact the real position for the Public is as the Creditor. Something has changed without our knowledge, yet when you confront the corporate state we face another excuse for Nondisclosure. Before incorporation the Parliament was an entity with the sole aim of representing the landed gentry who claimed to represent the public interest by definition of those in service to that landowner. When incorporated, the same is unable to represent anyone in the flesh and blood, they become a fiction and can only conduct and engage other corporations and legal persons through commercial contracts. 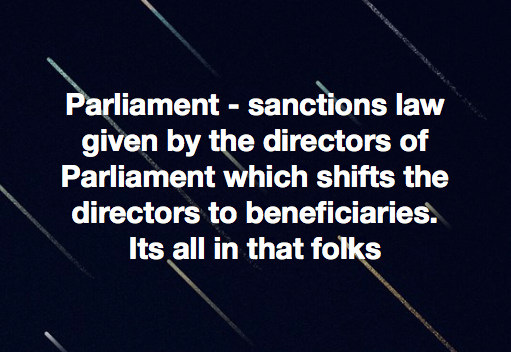 It is a dead thing in commerce, when government do this they become strictly a commercial entity.Judges (opinionators) enforce commercial code unless you are in British Jurisdiction and understand the Biblical Man, then you invoke real and unwritten common law of England, Great Britain, Canada, Australia and New Zealand. Charters in the past governed commerce between government and private enterprise and was a temporary commission to serve a specific purpose, say to build a railroad or sewer system, or any utility need domestically, the government could then contract with the private realm to physically oversee its construction, when the scheme was complete the charter and its rules would be folded. No private enterprise could intrude on the realm. When the government itself incorporates, commercial code becomes the authority without change, and the top of fiat currency in todays global system is the Bank for International Settlements, its World Bank and the fund thereof, the IMF. Corporate Government is an invention in the fiction, it is a paper entity only. It is a product of the Banks and therefore owned by the banks but has no physical assets of its own, it collects the assets of the flesh and blood through deception and entrapment. That is a Burden placed upon you and Limits Your Capacity as a Man/Woman. For that they are Liable. Ultimately then, Maritime Law is banking law to serve the banks paper empire. For efficiency a corporate government which acts according to Maritime Law, inverts the land law paradigm and brings ‘Charges’ not ‘Accusations’ against any shipmates (crew or legal persons) who then become the Defendant, a dead entity, and therefore the innocence is on you to prove. You are ‘Guilty as Charged’. That is Napoleonic Code. The system that is usurping nations came out of the Royal Society amalgam of all the gnostic cults of the day. Pushed into nations as the script of the secret societies. As a bankrupt entity the ‘United Kingdom Corporation Sole’, the U.K. Government, must be folded, this act alone kills all contracts to that entity, all bets are off and we go back to the realm. This works also in Canada, Australia and New Zealand, each having the same original Constitutional realm as England. When your politicians, judges and heads of police, etc, are chosen by the secret societies, not based on talent, but entirely on the fact they are persons compromised by some dire behaviour or have been set up to suggest the same, you have a serious problem. So serious is that stranglehold that it will take an equally extreme measure to combat the situation. Only with a full and complete amnesty after giving up the blackmailers, can we move in a direction that will give us back our politics and remove it from the shadowy claws of finance. Corporate governments can get grants but to get them they have to militarise which includes the deployment of military type drills inside society. This is why uniforms become the main attire for corporate officers, it is a prize from the grantor. Local authorities are also threatened with their budgets being cut if they do not install the 5G platform outside your homes. What this means. 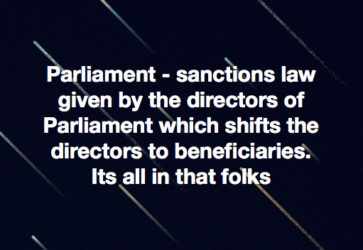 They claim government powers while no longer operating as such by definition of the shift of Jurisdiction to the legal realm, or commercial code. They are in Controversy. An overview of the Nolan Principles, which are the basis of the ethical standards expected of public office holders. The principles also apply to all those in other sectors that deliver public services. The principles were first set out by Lord Nolan in 1995 and are included in the ministerial code. Now it must be fully understood that your Consent to the false documentation is the primary victory for the corporation as described on page 37 Silent Weapons for a Quite War. When you watch your TV and see the small box with sign language accompanying the spoken English, they say for deaf people, what they are doing is programming a mix of language as normal, furthering the divide between the educated and the ignorant. Pope Felix III (as quoted by Pope Leo XIII in a Inimica Vis. the inclusion of something as part of a whole. the process of constituting a company, city, or other organisation as a legal corporation. 1 : an association of people with similar interests or pursuits especially : a medieval association of merchants or craftsmen. 2 : a group of organisms that use the same ecological resource in a similar way a feeding guild. association, board, brotherhood, chambe, club, college, congress, consortium, council, fellowship, fraternity, institute, institution, league, order, organisation, society, sodality. 1. A member of the lowest feudal class, legally bound to a landed estate and required to perform labour for the lord of that estate in exchange for a personal allotment of land. 2. An agricultural labourer under various similar systems, especially in Russia and eastern Europe in the 1700s and 1800s. (Historical Terms) (esp in medieval Europe) an unfree person, esp one bound to the land. If his lord sold the land, the serf was passed on to the new landlord. ˈserfdom, ˈserfhood n ˈserfˌlike adj serf. 1. a person in a condition of feudal servitude, required to render services to a lord, commonly attached to the lord’s land and transferred with it from one owner to another. Within most constitutional monarchies, notably the Commonwealth realms, the Crown is a non-statutory corporation sole. Although the office and office-holder, conceptually speaking, retain dual capacities in that they may act both in a corporate capacity (as monarch) and in an individual capacity (as a private person), they are inseparably fused in law, which is to say that there is no legal distinction between the office of the crown/sovereign and the individual person who holds it. The Crown can enter into contracts and possess property, and it is in this way that the Crown (state) legally acts as a person. Conceptually speaking, the person of the monarch (office holder) may hold properties privately, distinct from property he or she possesses corporately, and may act as monarch separate from their personal acts. For example, Elizabeth II as a natural person holds several separate offices, such as Queen of the United Kingdom, Queen of Canada, Queen of Australia, Supreme Governor of the Church of England, etc., which are all distinct corporations sole, and at the same time she may also act as a natural person in a private capacity separate and apart from her role filling these various offices (corporations). This functions in the same way as the office of Prime Minister for example, which may have use of certain properties and privileges, such as an official residence and decision-making powers, however these assets do not belong to the office-holder in a private capacity and thus remain with the office once the office holder leaves, and at the same time the office holder may own property such as a house or a car in a private non-office related capacity. 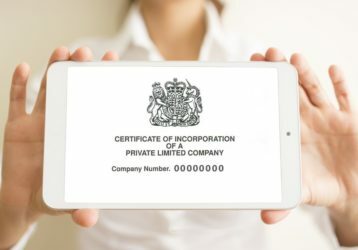 The sovereign’s status as a corporation sole ensures that all references to the Queen, the King, Her Majesty, His Majesty, and the Crown are all synonymous and refer to exactly the same legal personality over time. While natural persons who serve as sovereign may pass on, the sovereign never dies in law, thus it is the corporate nature of the office of sovereign that ensures that the authority of the state continues uninterrupted as successive persons occupy the office. Subsequently, the sovereign is made a corporation sole to prevent the possibility of disruption or interregnum preserving the stability of the Crown (state), and so at the moment of the demise of the sovereign a successor is immediately and automatically in place. Some Scottish and Irish and Canadian groups are confused. They thought that —to at least some appreciable extent— they have been cut free from the British yoke? So they are checking their treaties — especially their Treaties from Westminster — and wondering? First Fun Flying Factoid — “Westminster” is a separate principality of the Inner City of London which is itself an independent international city-state and part of the municipal government established by the Holy See. This is why all the murders and child sacrifices and other dirty business always occurs underground. This is why Princess Di was killed in a tunnel. This is the “Royal Secret”. This is how Elizabeth could take The Coronation Oath with her living breath and promise to honour the Public Law and all the other good things that The Coronation Oath requires, and then, three days later, turn around and break it all. [4ii]The Old English yeomanry which as a yeoman you were a member of a social class in late medieval to early modern England. In early recorded uses, a yeoman was an attendant in a noble household; hence titles such as “Yeoman of the Chamber”, “Yeoman of the Crown”, “Yeoman Usher”, “King’s Yeoman”, Yeomen Warders, Yeomen of the Guard. The later sense of yeoman as “a commoner who cultivates his own land” is recorded from the 15th century; in military context, yeoman was the rank of the third order of “fighting men”, below knights and squires, but above knaves. A specialised meaning in naval terminology, “petty officer in charge of supplies”, arose in the 1660s.